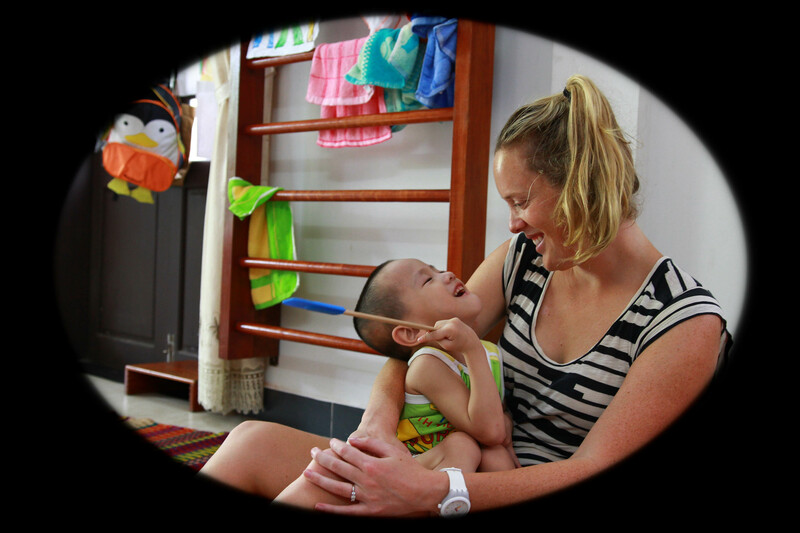 My name is Chloe Noble and I am a paediatric Occupational Therapist from Australia. I worked at the Royal Children’s Hospitals in Brisbane and Melbourne before coming to CHIA. I absolutely love volunteering at CHIA. I enjoy working with all the individual children and I have seen amazing progress in their physical and cognitive development. I do daily exercises working on the children’s individual goals such as using their hands more, independent mobility and participating in play and shared activities. The children, families and staff have all been very friendly, welcoming and accepting of my role and my ideas. I really hope to come back in the future!